If the big mortgage servicers thought they’d put a pile of legal troubles behind them when they reached the $25 billion dollar National Mortgage Settlement with almost every state in 2012, they were wrong. 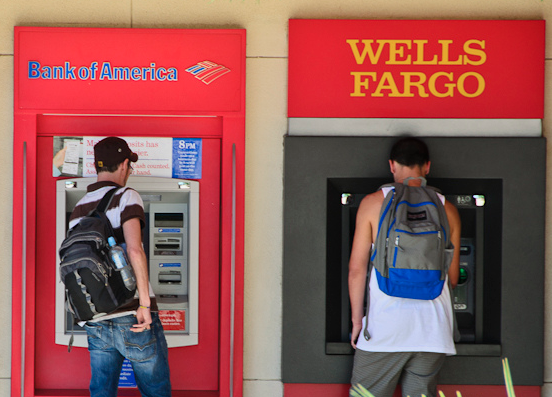 Today, New York Attorney General Eric Schneiderman announced his intention to sue Bank of America and Wells Fargo for what he alleges is a ” persistent pattern of non-compliance” by the two banks. In a letter [PDF] to various attorneys general who make up the monitoring committee for the settlement, Schneiderman alleges that Wells and BofA have failed, in hundreds of instances, to follow the servicing standards set out by the agreement, which include: a prohibition against dual tracking (in which the bank simultaneously negotiates a loan modification while also moving ahead with foreclosure); a requirement that every borrower requesting assistance be assigned a single point of contact; and four separate requirements that dictate the timeline for servicers to respond to customers actively seeking loan modifications. 1) Borrower must receive written acknowledgement of receipt of a loan modification application within 3 business days or receipt. 2) Servicer must notify borrower of all missing documents or deficiencies in the application within 5 business days of receipt of the borrower’s initial loan modification application. 3) Servicer must give borrower 30 days to submit missing documentation or correct a deficiency. 4) Servicer must make a decision on a complete loan modification application within 30 days. These timeline standards were put in place to minimize the likelihood that a distressed homeowner will lose her home because of delays in the mod process. But Schneiderman says his office knows of a total of 339 violations (210 for Wells Fargo; 109 for Bank of America) of these standards since Oct. 12. The AG says that if the monitoring committee does not act on these concerns, he intends to sue the two banks, seeking injunctive relief and for the courts to require strict compliance under the settlement. We’re reaching out to Wells Fargo and Bank of America to see if there is any response to Schneiderman’s allegations.